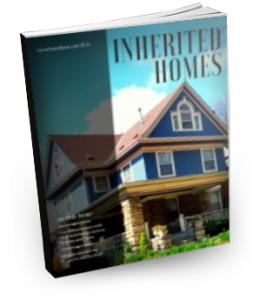 FREE Guide: Learn What to Do With an Inherited Home in the Kansas City Metro Area. Should you Sell It, Rent it or Live In It! Whether you are dealing with an inherited home there are many issues you don’t often think about. Some of these items could be key to keeping more money in the estate for the heirs. Utilities when no one Lives There. Keeping the Yard Mowed and the Sidewalks Cleared. Then should you sell it or should you rent it out or maybe live in the property. Next, when would it be better to sell it “As Is” and when might you want to fix up the property. And, when you go to sell it should you sell it through a Realtor, Sell it to a local Kansas City Metro Home Buyer, or maybe do something else? If you have an inherited property… this guide walks you through the things you need to know to make informed decisions and includes a few bonus resources for you.